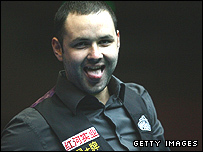 Stephen Maguire edged to a 10-9 victory over Shaun Murphy in the final of the China Open in Beijing. The Scot led 5-2, trailed 7-6, but kept his composure under pressure to claim his fourth ranking title of his career. Murphy pushed him all the way, but Maguire prevailed to win the £50,000 top prize, plus £22,000 for his 147 maxium break in the semi-finals. "I knew it would tough but I was happy with the way I held it together at the end of the match," he said. "I've been practising really hard, but I admit there were definitely a few nerves there. It's a fantastic feeling to win." Maguire, 26, won the Northern Ireland Trophy earlier this season, before losing to Ronnie O'Sullivan in the UK Championship final in Telford. For Murphy, 25, the only consolation is that he has moved up to number one in the provisional world rankings ahead of next month's World Championship. Well done Maguire - good to see at least one Scot named Stephen doing well this year! Maguire won the opener but Murphy pocketed runs of 54 and 72 to lead 2-1. Maguire then hit breaks of 74, 106 and 46 to lead 4-2, then a cool 102 opened up a three-frame advantage. Murphy raised his game with a 136 break to trail 5-3 at the afternoon interval, and then powered into a 7-5 lead thanks to runs of 75, 46, 81 and 45. But the match then swung Maguire's favour as he compiled a match-high 137 break, won a scrappy 14th frame and then added breaks of 80 and 89 to edge within one frame of victory. Murphy responded with an 86 run to reduce his arrears, before Maguire looked on course to clinch a 10-8 victory. However, Murphy had other ideas and after his opponent faltered on a break of 40, the 2005 world champion added runs of 26 and 30 to force a final frame. Maguire got in first with a 35 break, only for Murphy to respond with a 38. But it was Maguire who triumphed by potting the final pink to seal an edgy frame by 24 points. The Scot also clinched a final-frame win in his semi-final against Ryan Day at the Beijing Sports Gymnasium. As well as the first prize, he also takes home a cheque for £22,000 for his 147 maximum break against Day. It was Maguire's second title in a ranking event this season, following November's 9-5 triumph over Fergal in the Northern Ireland Trophy.